Is it Halloween or Christmas time????? -Saw my 1st set of Christmas lights already out. YAY!! Tis the season!!! Probably an awkward house for kids to go trick or treatin’ at this year, but hey, it is what it is hahah. -Met and got a signed autograph of one of the pirates off of Pirates of the Caribbean hahah. He said he just got a call to go film for “P5” in Australia hahha. Pretty random. -Sister Van Heel and I had to stop by the house to pick up something we forgot and while trying to get in we could NOT get the door to unlock. That door is so stubborn it isn’t even funny haha. Anyways, we reallllllly had to get goin’ but that thing was NOT budging. We had both been saying little prayers, but it wasn’t until we became unified in purpose as a companionship that the Lord answered us. I prayed that we would be able to think of a way to get it unlocked somehow…after trying more the thought came “why don’t you go ask for help…like from a neighbor.” We felt pretty stupid going next door and asking, but we did, shoot. If Heavenly Father gives you resources, ya gotta use all of them!!! She came over and without even trying got the door to open. There was obviously a reason we couldn’t get in. 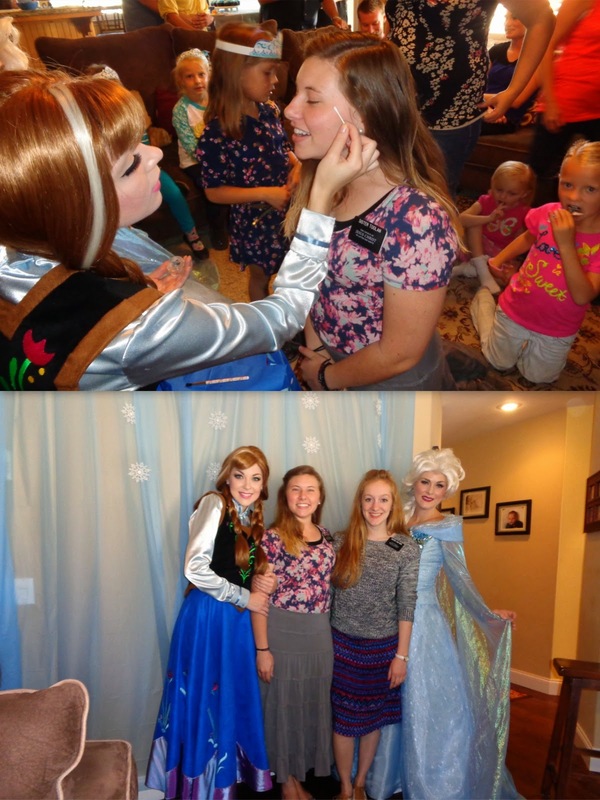 Maybe we needed to meet her, maybe she just needed someone to tell her how great she was (because I PROMISE you we were like praising her haha) or maybe she just needed to come into contact with two crazy Mormon missionaries and realize they are normal so when the day comes that they knock on her door she is willing to let them in. WHO KNOWS. All I do know is there isn’t a single mistake in Heavenly Fathers plan!!!! -Sister Van Heel and I had a very dramatic/traumatic experience with a black widow. That is all. 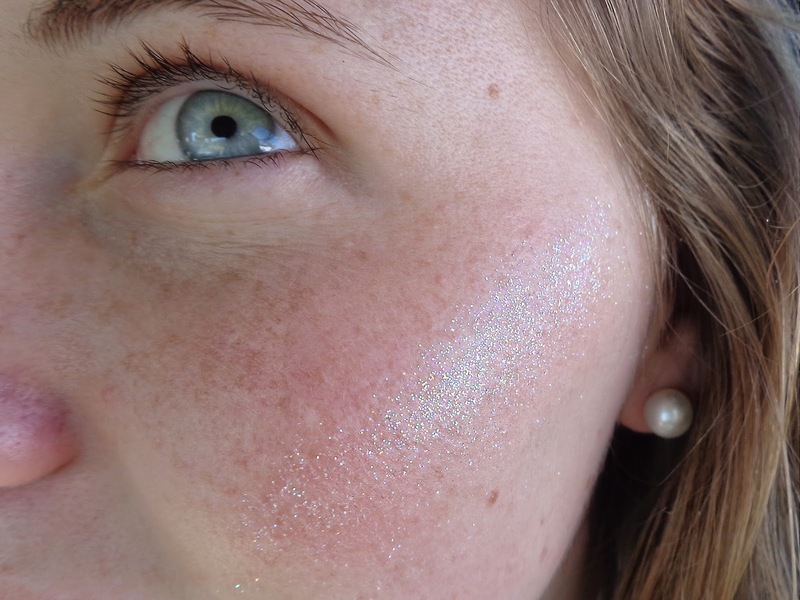 -The very next day ANOTHER dramatic/traumatic experience occurred. I was sitting reading when I heard Sis Van Heel SCREAM. 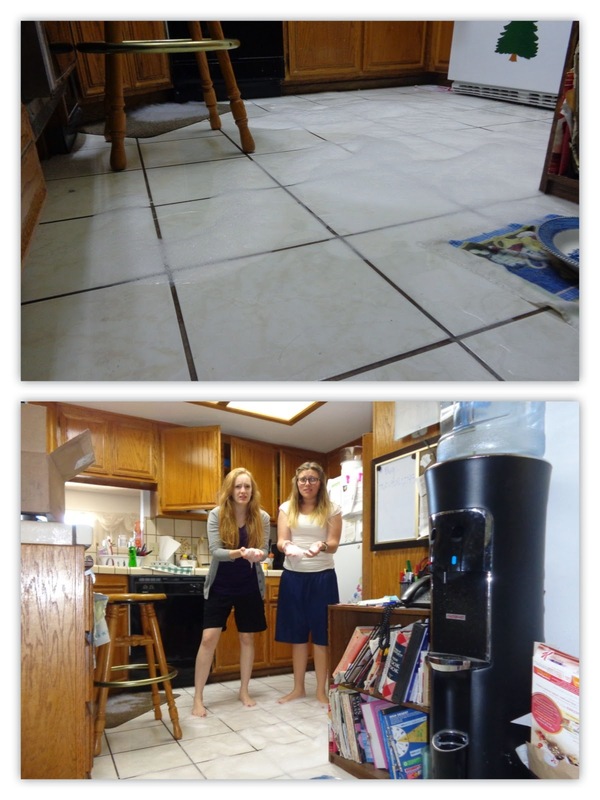 I thought she was joking around, but when I came into the kitchen and my socks started to soak up water I realized…we had a bubble pond goin’. It was one of those things that all you could do was laugh about it haha. I guess Sister Van Heel thought it was okay to put Dawn Dishwashing soap in the dishwasher and it overflowed/exploded with suds. Oh boy. So, word from the wise: NEVER EVER USE DISHSOAP FOR DISHWASHING PURPOSES IN THE DISHWASHER! Unless, of course, you want a bubble pond in your kitchen..then you can hahah. -Taught an investigator about the 10 commandments and went pretty into “not taking the Lords name in vain”. We told her that could mean many things like not cussing but it especially meant not saying Gods name in any way that isn’t reverent. Two days later we were over and she screamed “OH MY GOSH!! !” it sounds simple and silly, but that made us SO happy to hear. We had been praying so hard for her that she could change her habit of saying it in vain and there ya go!!! Ok, two more important things before I have to get off. 1. THANK YOU SO MUCH TO EVERYONE THAT PARTICAPTED IN THAT CUTE LITTLE BOOK MY MOM PUT TOGETHER FOR MY ONE YEAR MARK. It was so nice to see all your sweet faces :) It made me happy because some of the faces I was scared had forgotten about me, but it proved me wrong :) I look at the book a ton now…it made me cry the 1st time, but now it just makes me smile and smile and smile. My one year was great! It ended perfectly as I got a phone call from my last companion (Cauble) inviting me to a baptism this next weekend for someone we taught!! YAY! We sat and laughed and laughed on the phone. I miss that girl. I’m so excited to get to see some more of my favorites this weekend :) as I prayed that night I realized that there was still a lot of things that I need to change/learn in the last 6 months that I have to be a missionary and that I need to get to work to become aware of it all. I know how much I’ve grown in the last 6 months since getting transferred for the 1st time and know there’s even more to do. There’s no better time than now. 2. KATHERINE GOT BAPTIZED LAST NIGHT! Alright, so remember a few weeks ago when I told you we came home to a note on our door saying someone wanted to start being taught, then we set a baptism date with her? Well that was her. As of her baptism day we taught her a total of 2 weeks and 1 day. Talk about stressful trying to teach her everything she needed to know, but it was incredible. That’s a once in a lifetime sorta thing for me hahha. Its NEVER that fast. Craziest part is that she was 100% ready in even that short of time. Heavenly Father had been preparing her for a while now. Her husband was able to receive the preiesthood yesterday and got to baptize her. His first baptism. How precious. AAAH! After the baptism we were talking to her husband and he said she came home the other day after one of our lessons and said “I don’t know if they (talking about Van Heel and I) are my mothers, my sisters or my friends. They sit there and teach me SO much, yet they are my best friends and at the same time I’m teaching them a little here and there.” That was so great to hear. It’s safe to say that all the people we teach teach us more than we teach them. Their faith and desire to become like the Savior pushes me to do better. To work harder. To have more trust in the Lord. It was a special/hectic day. We ate breakfast and didn’t get home like 8 that night. I wouldn’t have had it any other way. I loved watching her change in even just the last 2 weeks. I love being a missionary. Ok, I could go on and on, but you knooooooooooow I done ran outta time!!! Thank you again for everyones letters/emails/help in getting the book done for my year mark. I’ve been blessed beyond belief. I love yall. Keep it real. It’s been a pretty good week. Pretty not so great morning/day…like, at all. But hey, ya win some ya lose some right? I don’t tell you this to be negative or to get pity. I do so simply so you can understand that I’m still human and get those ‘off days’ just like everyone else. Being a missionary does NOT make you prone to those kinds of things, sadly. Blah. Anywho, on to telling you how my week went!!! GOOD MOMENT OF THE WEEK: (I promise I was not being serious when I said it though lol) Sister Van Heel and I were talking about the desert and Joshua Trees. I told her I didn’t understand why everyone always freaks out about them…they aren’t THAT cool. -One of our ward mates is allowing us to borrow his GPS for a little since they are on bike, which is really nice considering we always get lost. Lol. But really. -My $10 watch from Walmart that I got at the very beginning of my mission finally semi-broke. It made me feel like I am warring’ it out and that’s a good feeling as a missionary lol. -I finished reading the New Testament for the 1st time in my life. Whoop whoop!! -Some Jehovah Witnesses knocked on OUR door this weekend. They were so surprised when we opened up. Even more shocked when we were nice to them and encouraged them. It was great. -Got to help a family in the ward set up for their little girls Frozen birthday partaaaay! It made the members really trust/love us and we had a jolly ole’ time acting like little kids. Sis. Van Heel and I kept joking around about how we were going to steal their (the Frozen girls that came) wigs and take away the show…I told her I was nervous because I’d never stolen a wig before…hahaha. It was great and made us all giddy!!! Add FROZEN PARTY!!!! Yes, she awkwardly groped my arm…? -While reading a little handout out loud during church on Sunday I came across the word “nothing” and without even thinking about it, after JUST telling Sister VanHeel I don’t have that much of an accent, I read “nothin’” loud and proud. I thought I would die. I couldn’t believe it. It just came out. #southernatheart what can I say? She gave me crap for that later. Haha. There was one day this last week that we went and visited soooooooooo many people. We had like 7 lessons that day, which may not sound like a lot but that is a TON for me in a day. While visiting these people they would tell us of their struggles or we’d see it all over their face. I was so overwhelmed. I am the kind of person that loves anyone and everyone and because of that I want to fix everyone’s problems. And I can’t. I even asked Heavenly Father after leaving one ladys’ house why He couldn’t just give ME all of their trials/hardships. Something I’ve asked Him before while being a missionary. My whole mission there’s been times when the people around me have such horrible things going on in their life that I want to do that: take it away from them and give it to myself, but I realized later that night how selfish that was of me…that would mean ridding those people I love of a chance to fully lean on the Lord, to strengthen their relationship with Him and to gain experience for themselves. I know the Lord won’t give me, you or any one of His children something they can’t handle. That night in prayer I cried and cried. I was so overcome with how grateful I was that the Lord was allowing me to see a little of how He feels every.single.day as He watches us struggle, cry, get hurt & embarrassed. He allowed me to feel a tiny portion of Godly sorrow that He feels daily. If I love these people this much, He loves us that much more. Such an eye opener for me. One of our investigators stopped us in the middle of our lesson and with tears in her eyes told us how “great of a team” Sister Van Heel and I are. She told us that the difference in personalities is perfect and that she couldn’t have learned from anyone else. Talk about great to hear!!! It was cool to see, as always, that Heavenly Father knows JUST what He’s doing. It was also a miracle at the end of that lesson because we asked HER to pray and typically she gets really realllllly nervous and anxious to pray, but she did it like it was nothing and after told us she didn’t even think about it this time!!! AAH! Plus, it’s really nice because we started teaching her RIGHT when I got here, so that 1st Sunday she came to church I was able to relate to her in the sense of “it’s okay. I don’t know anyone or know where anything is either. We are in this together!” Her and I truly are getting to know everyone together and I know it helps her to know that she isn’t the only newbie. It might stink, but if it’s helpin’ her, I’ll take it!!! In this scripture Nephi talks about making, with his own hands, the plates to record on. Nephi didn’t live in the day of texting, internet and cyber space or even pen and paper for goodness sakes!! He had to go through a LOT of trouble to MAKE and RECORD all that he did. He was out in the wildnerness makin’ dadgum brass plates out of who knows what, but he did it and he did it willingly because it had been commanded of him by God to do for our benefit. His ‘journal’ per say is so precious to me. I am thankful he was obedient. 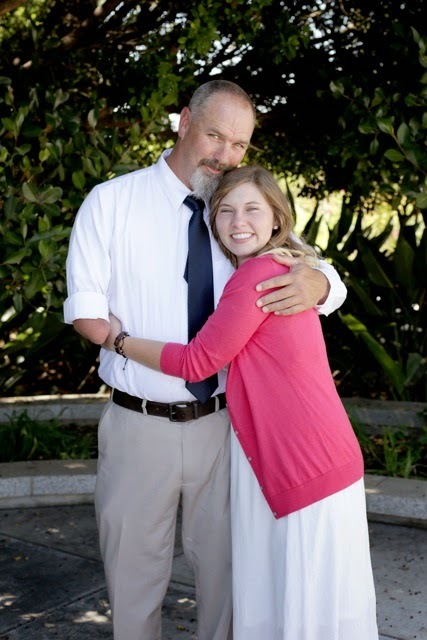 I am thankful for his example. I feel more than blessed right now it isn't even funny. The new area that I'm in has SO much work, so little time. Not even close to joking. I tell ya what though, that's the best problem I've had in a while! Speaking of problems, I have this one where I get really, reallllllly nervous about the future. Like I sit up at night thinking...thinking...and doing more thinking. OVER thinking is of the devil. I ain't even playin!! Anywho, I mostly get nervous because I know going home means I have a lot of decision making to do. And if you know me, you know I HATE (ok, just kidding. I mean I really disLIKE..(I'm working on not saying 'hate' anymore) making decisions. It stresses me out. I know now after the mission, if I have served the Lord well and have done all I could in bringing people back to Him by sharing the gospel, Heavenly Father will guide me in my every decision I have to make. I know the blessings of my service will bless my life, not only in this life here on earth, but also in the life to come. I know I need to just focus, not worry about the future, take one step at a time and embrace the time I have to devote all of my time and attention on serving the Lord. -Our obedience shows our relationship with Heavenly Father and Christ. What we are willing to do because we don’t want to let Them down. “It’s not hard to be obedient; it’s hard to NOT be obedient.” Once you know the blessings that come, you see you can’t live without those blessings. -I truly believe training is more for the trainer than anything. It makes you ponder on all the things you’ve learned and the experiences you’ve had with certain things to help you see the importance and also growth in yourself and missionary work. -since technically stress is GOOD it explains why people that don’t have anything going on in life like work, school, social life, etc.…are miserable. We NEED stress. We need challenges and tough times in our lives. -I don’t think it’s fair to say ‘people can’t change’. Being on a mission has proven that to be false. Sure, you shouldn’t go into something like marriage thinking you can change the person, but because of Christs atonement and the way He works, we are fully capable of changing, for the better, for good. Random: I'm not sure if I told you this or not but while I was in my last area we got Italian food (a variety of spaghetti and lasagna) and root beer floats every.single.night. for like 3 weeks straight. It was..hmmmmm. Not the best 3 weeks of my life hahaha. I think if I died without having either of those two items again in my life I'd be JUST fine!!! We went to meet with a lady the sisters had talked to before and while we were there I was amazed. We didn't know this before but the woman had a daughter that was a member of the church. She also had a grandson out on a mission in Brazil. The best part was she knew her grandson emails home back and forth. She talked about how happy he is. We explained why he was. The Gospel of Jesus Christ. She showed us a Book of Mormon that her daughter had sent her once and I sat there realizing HOW important it is to share the gospel, especially with our family. I know there was more I could have done before my mission and that there is a ton of work to do when I get home. We have no clue how much the little ways we live our life influences others. We have no idea just have many would be receptive to our unique message to the world if only we would tell them what it is. I realized I’m not an emotional wreck, I’m just an emotional person. Does that make sense? It does to me. I don’t go around crying all day because I’m sad and life is horrible, things just touch me allllllllll the time and my response is always tears hahah. Just wanted to share this piece of information with you haha. Thursday- COOLEST THING OF MY LIFE HAPPENED! When Elder Kacher came and talked to our mission a few weeks ago he pretty much promised us we would find people to teach if only we would do what we are supposed to be doing by asking EVERYONE for referrals. Well, that’s something I’m really bad at but last week I challenged myself to putting him to the test. I asked everyone, everyone. Even people we were meeting on the street and still no one was giving us names. Either way, I just kept asking. SO…drum roll please……we get home this night and the member we live with had taped a note to our door. What was on the note you might ask? A MESSAGE TELLING US THAT THERE WAS A WOMAN WHO WAS MARRIED TO A MEMBER OF THE CHURCH WHO WANTED US TO CALL HER AND START TEACHING HER. We met with her 2 days later and while explain that it’s important to go to church to get her answer about the truthfulness of our message she goes “oh…no, that’s not a problem. At all. I already know it is. I just need to do what I need to in order to get baptized.” WHAT?!?!?! We set a baptismal date with her there and then. She came to church and while there was asked if she was visiting..homegirl goes “nope, I’m here to stay!! !” :D I can’t even. I know that she was sent to us as a testimony that if we’ll do what Preach My Gospel and leaders ask us to do, our Heavenly Father will bless us, in His owns ways and in His own time. Sunday- church was so wonderful. Everyone was so welcoming and loving. I felt right at home :) One of our investigators (I hadn’t met yet) walked in and guess what??!?! SHE HAS A NUB (shorter arm) LIKE MY DADDY :D AAAAAAH! I LOVED HER INSTANTLY!!!!! I’m so excited. OOOOOOKKKKKKKKKay. So. The good news? I just met a woman sitting next to me who is quite interested in the gospel and I got to help answer a few questions she had. Bad news? Everything (and I had a TON) that I had written already just erased because my time ran out on that session and shut off on me. Soooooo yeahhhh..you probably aren’t getting much from this today. However, I still feel like talking to her was a little more important, so it’s all good!! Let me wrap this week up in a nut shell for ya! 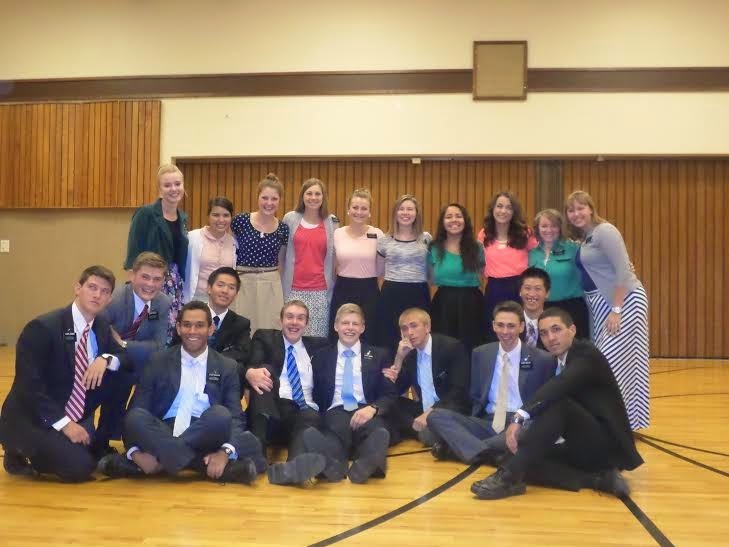 I will use Sister Havens words for this part: “I LOVED MEET THE MORMONS!! :) That was seriously the highlight of my week because it was so cool to see how the Gospel blesses families in SUCH a small period of time. The spirit was so strong. We have talked to our members about it every day since then in hopes that we can get them to go see it. I am going to be praying that it will be a successful opportunity for the church. So this is a cool way that you can help me, by being an answer to my prayer: GO SEE MEET THE MORMONS. All proceeds go to the Red Cross. It can help you and the people you love see more about who we are as a people. It doesn't proselyte (or tell about what we believe) It tells about why we are the way we are. Friday night I got a phone call asking if I would finish train a new missionary again. 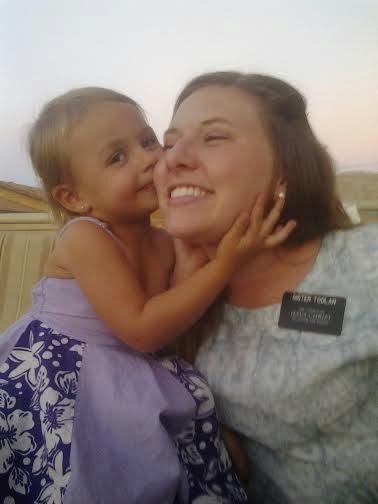 Sister Cauble and I immediately started to cry..we knew that meant we wouldn’t be together another 6 weeks. It was sad because we only were together 1 transfer, but that was all WE needed to get to know, love and appreciate one another. Ever since we have stayed up WAY too late having fun and telling each other stories, our fears, just everything. I will forever love her. This morning when having our last prayer as a companionship she started to cry. I know we needed each other these past 6 weeks and it was such a blessing. Best friends for life? I think yes. She told me Thursday (because I was REALLY happy and having a goooood day) “ I HATE WHEN YOU’RE HAPPY.” Someone thought she was being serious hahah. So now I am in the Village Ward in Apple Valley. Yep, I got 6 week shafted. It stinks. But I was ready for some more change. I am excited because I know Heavenly Father is giving me yet another chance to learn, grow and meet new people. I know there are testimonies here that I need to hear, I know I have a new companion that is going to teach me something no one else could as my companion and I know that it’s time for me to be humbled by not knowing anything again and turn to my Savior. Leaving wasn’t too hard since I hadn’t been there long, but it stunk when my wardmates/Zone leaders called and sang in their little “quartet” they got goin “God Be With You Til We Meet Again” hahaha. Leave it up to the elders to give you a good laugh and cry. Bella, and 8 year old we’ve been teaching asked me Sunday why I was leaving and I told her because my president said I had to, she goes “Well that’s just RUDE!” hahah. We got to watch conference and it was incredible as always. I loved how we all pretty much got rebuked from the pulpit. I think I have some improving to do??? Oh, during one of the sessions the autistic boy, gavin pointed to me and started yelling “DO YOU SEE HER?!?! I LOVE HER. I LOVE HER. SHE’S PRETTY HOTT. Yeah….shes’ pretty hot! !” hahahah that boy. I love him. So many great things happened this week that I wish I had time to tell you about, but maybe next week I can…jk, next week is a darn federal holiday which means I’ll have no time to email. Ok, fine. In 2 weeks I would love to tell you some neat and wonderful things going on around here, there always is something!!! GO SEE MEET THE MORMONS. You won’t regret it. Keep your eye out for the mini, many miracles of the day. I love yall. I love my Savior. We made cupcakes this week. Future wife in training, NBD!